Jillian asked to be surprised (well, she asked me to ask him) and Olivia asked for Moana toys and a pink drum. Charlotte was thoroughly confused about it all. This year we added to the tradition and went for sushi afterwards! Over the past year or so Jillian has come to love it and is actually pretty decent with chopsticks. Olivia? 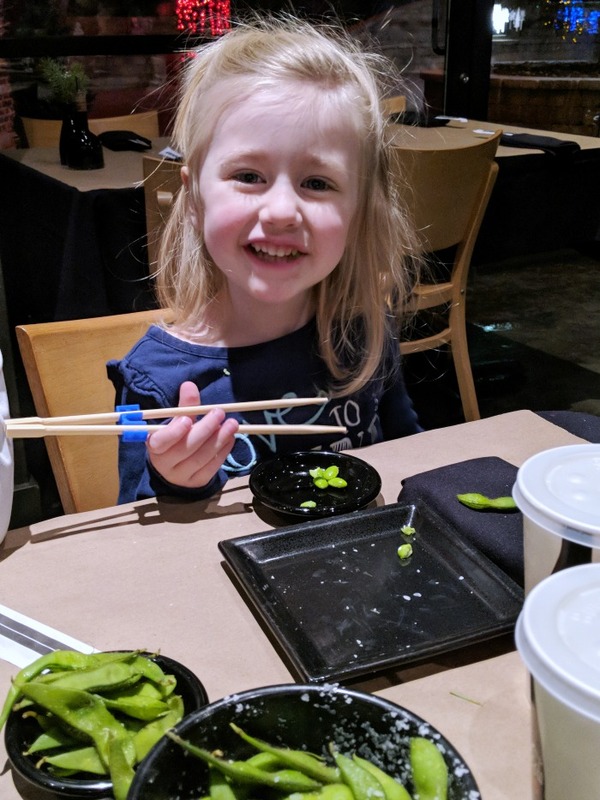 Not so much, but most sushi places have "noodles" so she's happy with that. 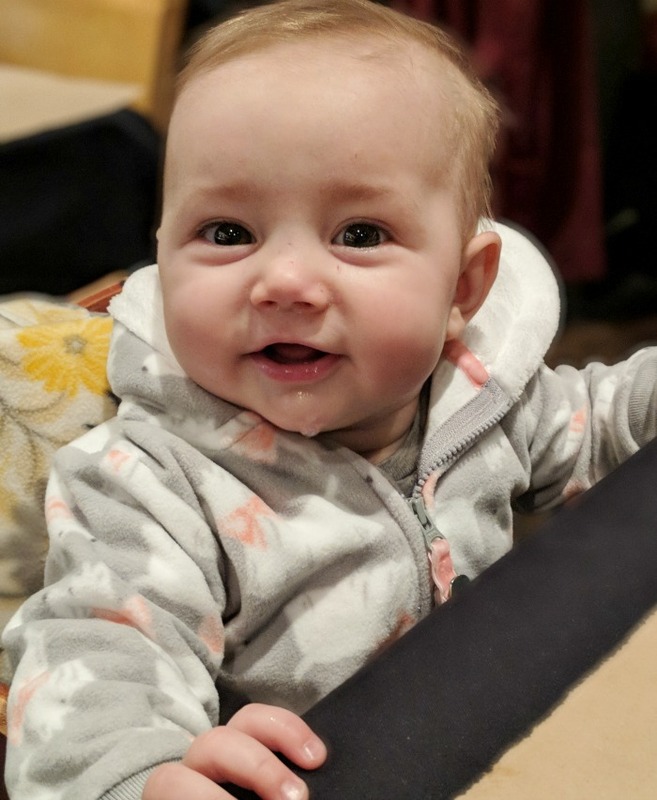 Charlotte was just happy trying to grab at all the things on the table! I love that she's big enough to sit up on her own now- it makes grocery carts and high chairs much more applicable. 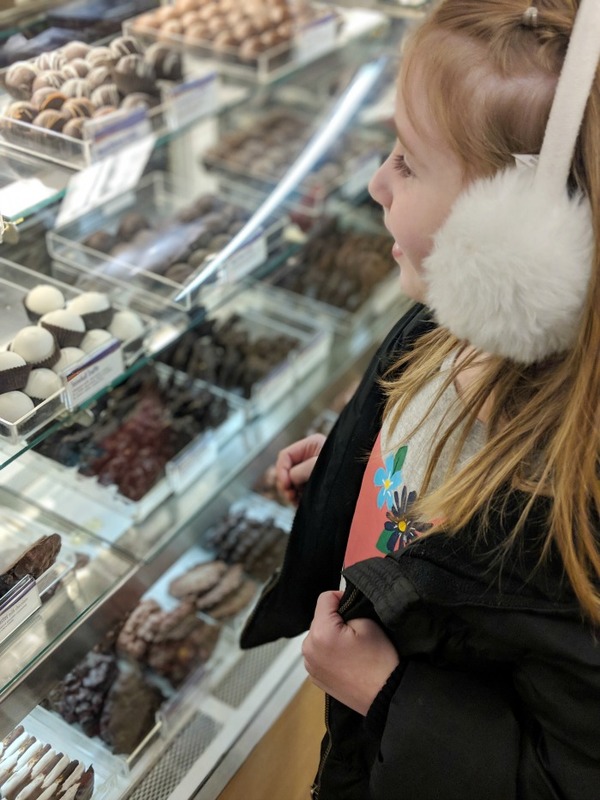 After sushi, we made room for treats from Rocky Mountain Chocolate Factory! It was freezing, but always is one of my favorite traditions! 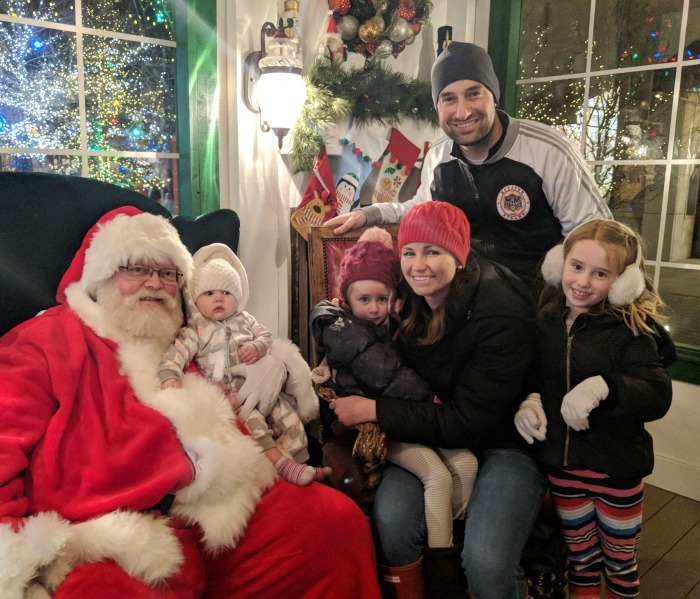 And maybe, just maybe, next year will be the year my kids aren't freaked out by a real-live Santa!